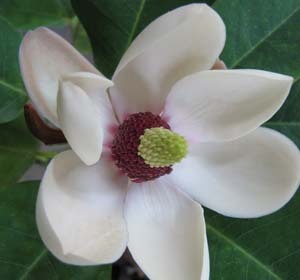 The Magnolia Society attracts magnoliaphiles from all walks of life and all parts of the world. This month, we catch up with Dan Hinkley, well-known plantsman and author of The Explorer's Garden series of books. 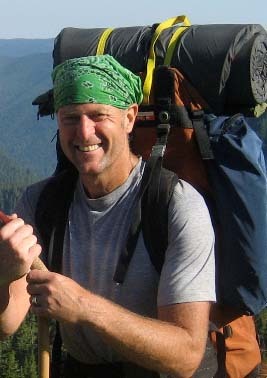 Dan will be speaking at our upcoming annual meeting in Atlanta, Georgia USA in March 2014. The title of his talk is "The Accidental Magnoliaphile: Stumbling Upon Magnolias in Asia and Learning to Love Them." Here Dan tells us a little more about what drew him to the world of magnolias. Q: What magnolias do you grow at home? Dan: All that I have in my garden are my own collections; M. obovata, M. salicifolia (Japan), M. sieboldii (Korea and W. China), M. wilsonii (W. China), M. campbelli (E. Nepal) plus about 15 specimens representing numerous evergreen species from Vietnam. Like most other genera in my garden, one species leads to the next and then to the next; I have not deliberately set out to make a Magnolia collection. Q: Tell us about the most recent time that a magnolia took your breath away? Dan: Scott McMahan recently sent me a photo of the first flowering of M. sapaensis (pictured left, courtesy of Magnolia Society member Ethan Guthrie) that we had collected together in northern Vietnam in 2010. It was such a surprise to see it flowering so soon, and with flowers possessing a beauty that I was not expecting. A red letter day. Q: What is your favorite place to go to see magnolias? Dan: Currently northern Vietnam, simply due to the diversity of Magnolia species there and the frequency at which you find them. Q: How did you learn what you know about magnolias? Did you have a magnolia mentor? Dan: I probably caught the bug through my associations with John Gallagher of the U.K. who had more Magnolias per square foot in his garden than most have in an entire garden. Later, traveling with Scott McMahan of Georgia and [Magnolia Society President] Andrew Bunting has led to further intersection with the genus. Q: What opportunities do you have to share your passion for magnolias? Dan: Of course, there is such floral punch proffered by the genus that my images of any in blossom are well received in the talks that I give on both sides of the Atlantic and Pacific. In addition, a Magnolia flower perfectly illustrates the spiral arrangement of ancient flowers as well as providing a macro example of flower parts. I shudder to think of how many Magnolia flowers I have destroyed over the years in attempting to get my students to develop an appreciation for them.